It is with great sadness and a heavy heart that we must announce the sad news of the passing of Charles Aznavour – legendary French-Armenian singer-songwriter and actor, National Hero of Armenia and commander of France’s prestigious Officier de la Legion d’honneur. He passed peacefully today at his home in Alpilles, southeastern France, at the age of 94, less than a month after returning from a concert tour of Japan. Born Vaghinag Aznavourian in Paris into a family of survivors of the Armenian Genocide on May 22, 1924, he left school at the age of 9 to pursue an acting career to support his parents. Described by CNN as “Entertainer of the Century”, Aznavour sold more than 200 million records worldwide, recorded about 1400 songs in 7 languages, including 1300 he wrote himself, and starred in more than 60 films in a career spanning eight decades. Aznavour was honored with a star on the Hollywood Walk of Fame last year. Still performing to packed stadiums well into his 90s, this year alone he appeared on stage in Japan, Russia, Brazil and Australia and was due to take on a seven-date tour across France and Switzerland, starting in November. Aznavour was also expected to travel to Armenia for the opening ceremony of the Summit of Heads of States and Governments of the International Organization of La Francophonie to be held in Yerevan on October 11-12. 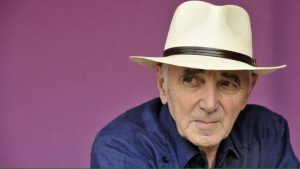 Aznavour was heavily involved in charity work throughout his life and led humanitarian efforts in Armenia after the devastating earthquake in 1988. He was one of the pioneers of the global campaign on the recognition of the Armenian Genocide in the 20th and 21st centuries. The Maestro’s death is an irreparable loss for Armenia and the global Armenian community; he will be dearly missed by millions of his fans worldwide, who admired his charming one-of-a-kind voice and artistic charisma. National Day of Mourning will be observed in Armenia on the day of Aznavour’s funeral.